President Obama wrote a response to a NewYork Times article on how Republicans have tried to dismantle the Voting Rights Act of 1965. The op-ed takes a look at how American Conservatives used tactics like literacy tests to suppress the vote of African Americans after the Civil War (especially in the South). It then talks about how over the past 50 years Republicans have pushed to dismantle key parts of the Voting Rights Act that protects the vote of African Americans. 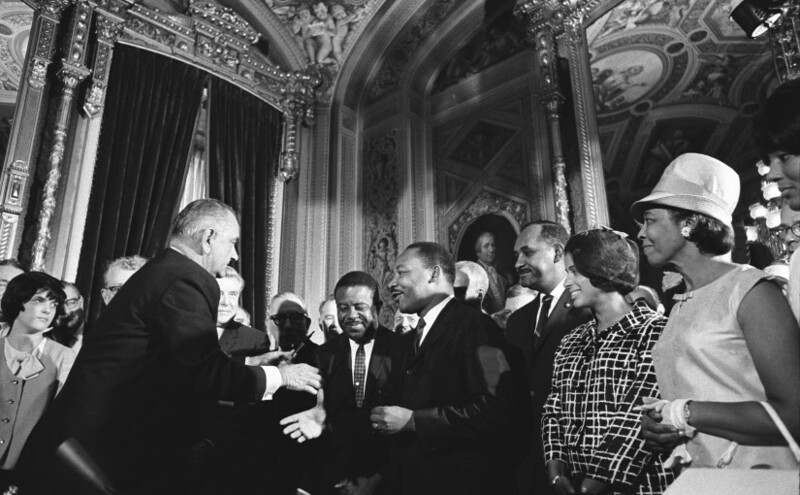 Things like the Voter ID laws are only allowed because key provisions of the Voting Rights Act have been dismantled. Creating new demands for photo ID at polling places. All key provisions have been undone by Republican congresspeople or by conservative lawsuits like Shelby County v. Holder which state that voting rights laws have “done their job and are no longer needed as race, discrimination, and voter suppression are no longer issues in America”. In July of 2015 President Obama wrote an op-ed in response to a NewYork Times article “a Dream undone” which explains the history of the Voting Rights Act and the effort to dismantle it over the past 50 years. We suggest reading both the op-ed and the article for a better understanding of how voting rights are being dismantled in America leading up to the 2016 elections.